Visit the Doha Corniche, a waterfront promenade that extends up to seven kilometres along the bay of Doha and indulge in stunning vistas enjoying absolute peace of mind. Read on to know more about this exclusive destination. In the past, the Corniche used to be an empty stretch of land that was used as a walkway by the people in the region. Since the beginning of the 21st century as the region started to thrive with the construction of skyscrapers and the sudden economic boom, the promenade was created as an effort to promote tourism. 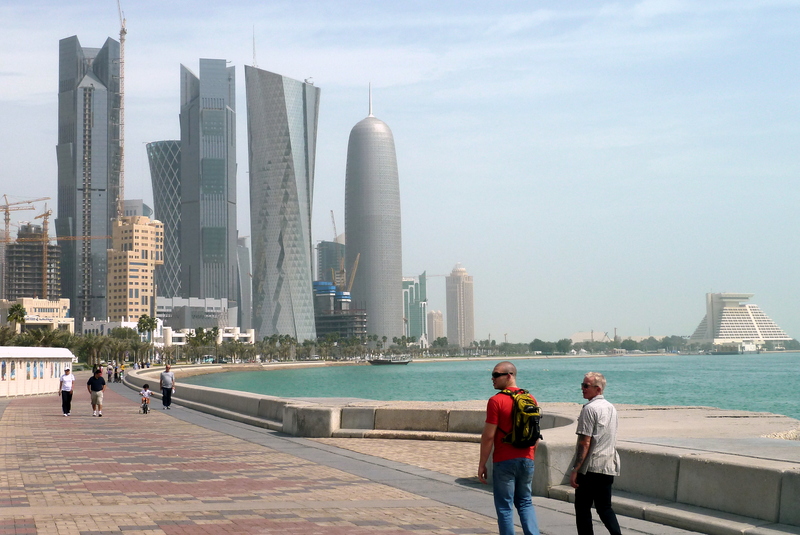 The Corniche is located along the bay of Doha extending up to 7 kilometres. It is composed of three main areas; an area with a park and promenade, Corniche Street, and a government zone. Visitors can enjoy a myriad of activities when they visit the Corniche ranging from jogging, cycling, running and many other social and leisure activities. You will also get a panoramic view of the Doha Skyline from the promenade which is certainly a spectacle to watch. You can reach here easily from almost all the parts of the city of Doha by a taxi and it will be even easier to visit Corniche if you are stationed at any of the hotels near Doha Airport the likes of Souq Waqif Boutique Hotels, which is just a stroll away. Previous Post Cave Temples – Explore Dambulla! Next Post Things to Do in Marawila – An idyllic village by the sea!